Beloved husband of 47 years to Mariam and devoted father to Marcy (Keith Berlin) and Abby. Walt had wonderful friends, colleagues and students in his life's journey, and touched the lives of all who will cherish special memories of him. Walt was born in Philadelphia, PA and served in WW2 in the Italian Campaign, 3rd Division, earning a Purple Heart at The Battle of Anzio. He received undergraduate and graduate degrees from Stanford University in Journalism and History (1949 & 1950). 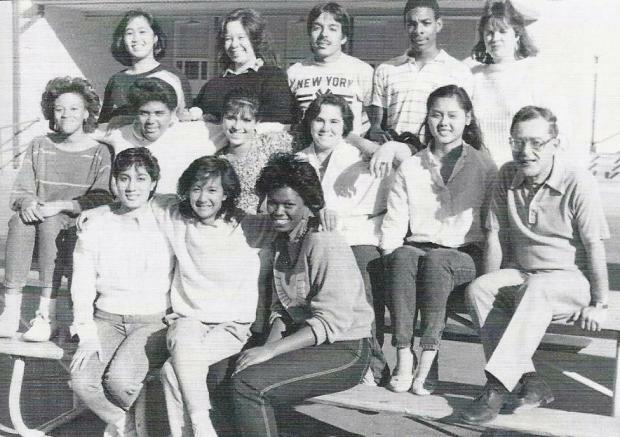 For 34 years, Walt was a dedicated teacher and advisor to The Olympian Newspaper at Leuzinger High School in Lawndale, CA. Walt served as editor of the B'nai Brith Record and was beginning his 10th year as President of the Marina Del Rey B'nai Brith Lodge # 3037. He was a recipient of the Maimonides Award in 1991 for outstanding and meritorius service and was a past Commander of Jewish War Veterans Friendship Post # 617. Walt Kaplan died of cancer at the age of 78.